After each meeting (typically by the close of business on Wednesday), the video is saved to the Novus Agenda meeting link so you can watch when convenient to keep abreast of projects and issues. Click the icon in the “Online Agenda” column with the red video arrow to open up the agenda. To watch the entire meeting, click the top “VIDEO” link on the left. To watch a video of a particular agenda item, please click the “VIDEO” link to the left of that item. I-77 Mobility Partners will conduct a public hearing to describe toll pricing methodology and present proposed initial rates for I-77 Express. The presentation will be held at Huntersville United Methodist Church (14005 Stumptown Road, Huntersville), September 13 beginning at 6:30 p.m. followed by public comments specifically concerning the proposed toll rates at 7 p.m. More information is available at www.i77express.com. The Park at Beaty Street Task Force is gathering public input in a number of ways such as surveys and idea boards in the town hall rotunda. The first public input session will be Monday, September 17 from 5:30 to 7:30 p.m. at Davidson Town Hall. Citizens are encouraged to drop in to provide feedback on photo idea boards and have discussions with task force members, the results of which will be used to begin developing conceptual plans for the park. Wednesday, September 26 from 5:30 to 8:30 p.m.
We’re accepting nominations for the Jack Burney Community Service Award through September 28. We have hard copies of the form in the lobby and an online form on the website. We’re so pleased to announce that we have a new Human Resources Director, Megan White. We’re happy to have her on the team! Mayor Rusty Knox read a proclamation in honor of National Suicide Prevention Week (September 9-15). We appreciate the work of Davidson LifeLine, whose mission is to support suicide prevention and mental health awareness in our community. Economic Development Manager Kim Fleming discussed site improvement options for the area that is located behind Summit and hosts the Davidson Farmers’ Market. This project is one of the top priorities for the board of commissioners since this area is used and enjoyed by many citizens of Davidson. Our next steps will be to get examples of the potential look and feel of the area based on other built spaces so that we can manage the improvement of this space that has grown organically over the years. The Davidson Board of Commissioners are interested in moving forward with plans, would like to review potential designs and material choices, and would like to spend $275,000 in town dollars, plus use $100,000 in grant funding from the NC Department of Agriculture and Consumer Services. They will likely put the consideration of $40,000 in construction drawings on the agenda at an upcoming board meeting. Senior Planner Travis Johnson and Lake Norman Regional Transportation Commission Executive Director Bill Thunberg gave an update on the North-South Connector Study. Because of large population increases in Mecklenburg and Iredell counties, we need to continuously assess possible improvements to our transportation network. This study to consider an additional north-south route for vehicular traffic is funded by the Charlotte Regional Transportation Planning Organization’s Unified Planning Work Program (UPWP). Citizens are invited to provide input at the upcoming session on September 27 from 6:00 to 8:00 p.m. at the Charles Mack Center (215 N. Main Street, Mooresville). 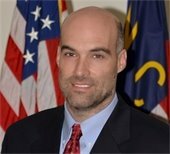 While all Davidson citizens are welcome to attend the session in Mooresville, the Davidson Board of Commissioners requested a public input opportunity to take place in Davidson to make it easier for people to participate. Public Sector Human Resources Consultant Susan Manning gave an update on the three-town salary study included in the FY 2018-19 budget. This study examines the market for staff positions in the towns of Davidson, Cornelius, and Huntersville to determine if adjustments are needed to our salary structure in order to stay competitive. Our last pay study was conducted in 2015. Next steps include a presentation to the board of commissioners by Susan at the board meeting on September 11 to share the findings and recommendations for the board of commissioners to consider. Planning Director Jason Burdette and Planner Lindsay Laird provided an update on the proposed work on the North Harbor Club to make improvements to their kitchen and add a banquet facility and outdoor deck. Next steps will be for the Design Review Board to make a final recommendation on September 19, the Planning Board to make a recommendation at their September 24 meeting, a public hearing on September 25, and a potential decision by the board of commissioners at an October board meeting. Police Chief Penny Dunn recommended changes for the Town of Davidson noise ordinance to improve understanding of the code for residents and officers, establish reasonable and measurable levels of sound, and clearly define the measuring location for officers responding to a complaint. These proposed changes would extend the hours for a higher decibel level into the evening and increase the decibel range for residential, multi-family and commercial/institutional noise. Noise created by construction workers, refuse collection vehicles, lawn mowers, leaf blowers, etc. is not permitted from 9:00 p.m. to 7:00 a.m. (Monday-Friday) or 9:00 p.m. to 9:00 a.m. (Saturday-Sunday). The board of commissioners will hear public comments on the proposed changes and consider approval at a future meeting. The town currently has no formal process for naming our new parks. With two potential parks coming online in the near future, staff and the Livability Board recommend developing a process to engage community input. 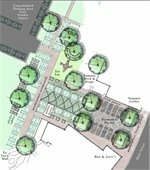 The board of commissioners directed our Livability Board to start the process to name the new park near Bailey Springs, which will open on November 10 at a celebration from 11:00 a.m. to 1:00 p.m.
Because the venue for coffee chats is no longer available, we stopped scheduling coffee chats in May. After reviewing the results of the Open Town Hall survey, the board of commissioners will temporarily suspend coffee chats for the immediate future. If there is a need to add the coffee chat meeting format to the schedule in the future, they will. Town Attorney Cindy Reid explained that the town’s Board of Adjustment, comprised of Planning Board members, hears cases concerning ordinance interpretations, requests, or appeals for variances. Historically, all members of the Planning Board also serve as members of the Board of Adjustment, either presently serving or serving as alternates. The five presently serving members are elected by the Planning Board and include an ETJ representative. This summer, the Davidson Board of Commissioners directed staff to pursue the purchase of the site of the former IB school. At its August 14 meeting, the Charlotte-Mecklenburg Board of Education declared its intent to sell the parcel located at 251 South Street to the Town of Davidson, contingent upon the county declining its statutory right of first refusal. On September 5, the Mecklenburg Board of County Commissioners voted to decline its first right of refusal enabling CMS to proceed with selling the property to the Town of Davidson for $2,460,000 (the appraised value). The next steps are for staff to perform a “due diligence” process on the purchase for the next 60 days. In that time, we will complete a site survey and a Phase 1 environmental study. We anticipate the use of installment financing at the closing in early December. The Davidson Board of Commissioners believe that it is important to purchase this site so it remains in town control in perpetuity. It offers 33,500 square feet of space to cover public facilities space needs. In addition to the historic school building, this site offers a gymnasium, fields, and parking. The Davidson Board of Commissioners need to decide how we should use that property – should we renovate the school for town offices and community space or master plan the buildings and entire five acres. Stay tuned for public engagement opportunities because we’ll need further input from our citizens. Copyright © 2013 Davidson, NC. All Rights Reserved.